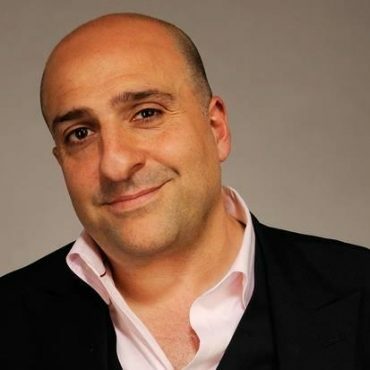 Omid Djalili is now established as one of the funniest and most original comedians in the world, and a familiar face on the big screen. The Iranian comedian has been treading the comedy boards since the early 1990s with his first big break coming at the Edinburgh Festival in 1995 with his show Short, Fat Kebab Shop Owner's Son. Born in Chelsea to Iranian Baha'i' parents, Omid is a huge Chelsea fan and often appears on the clubs in house TV channel. On TV, his moment came when he was granted his own series The Omid Djalili Show. His acting career really took off in 2009 when he took over from Rowan Atkinson as Fagin in the record-breaking West End production of Oliver! His acting takes him to playing either comedic or straight roles. On the big screen he has appeared in countless films including The World is not Enough, Gladiator, Notting Hill, and Pirates of the Caribbean. Most recently Omid performed in an acclaimed performance of ‘Fiddler on the Roof’ at the Chichester Festival Theatre. Catch Omid on the road this year with his ‘ European Schmuck for a Night Tour’ !